We don't always feel like our true identity. Our past, our present, our struggles, and our uncertainties can leave us estranged from our authentic selves. However, we must never forget the importance of knowing who we really are. Because who we really are is not what's happened to us or the circumstances we find ourselves in. Who we are is not what we have or don't have. It's not what other people say or believe about us. It isn't even necessarily what we think or believe about ourselves. Who we are is found in Christ alone. Read this over. Write this down. Print this up. Let it sink in real deep. Just don't ever forget the people we really are. We are light people. We are salt people. We are occupy people. We are grace and truth people. We are hope people. We are mercy people. We are love people. We are joy people. We are peace, patience, and kindness people. We are goodness people. We are faithfulness, gentleness, and self-control people. We are cross people. We are redemption people. We are resurrection people. We are Easter people. Conquered death people. Abundant life people. We are new creation people. We are sons and daughters people. Wonderfully and fearfully made people. We are His beloved people. We are holy people. Wisdom and discernment people. Justice and courage people. Walk humbly with your God people. We are prayer people. Doers of the word people. The called according to His purpose people. Worshipers in Spirit and truth people. We are prophetic people. We are revelation people. We are visionary people. Creative and innovative people. We are breakthrough people. Transformation people. Overcomer people. And we've got the victory people. We are spread the Gospel people. Share the good news people. Heal the brokenhearted and set the captives free people. Beauty from ashes people. We are blessing people. We are strength and power people. Thanksgiving, praise, and honor people. We are on Earth as it is in Heaven people. Nothing is impossible to those who believe people. Declare a thing and it will be established people. Obedience is better than sacrifice people. We are I AM people. Father of lights, Son of God, and Holy Spirit people. We are supernatural people. Greater works people. Walk on water people. Drive out the darkness people. Come up higher people. 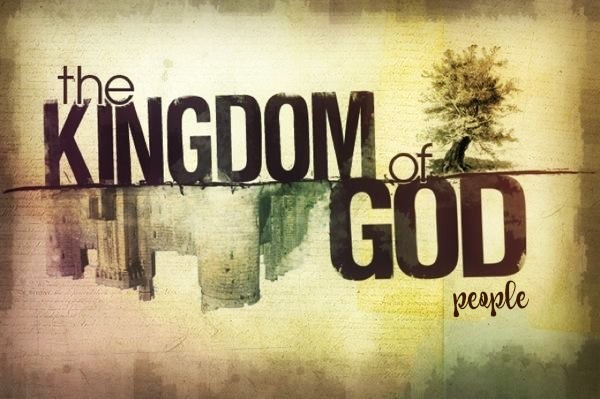 We are King of Glory people. Lamb of God people. Bread of life people. Living waters people. We're light of the world people. Hope of glory people. We are Jesus people. We live and move and have our being in Him people. We can do all things through Christ people. We are because He is people. I could go on and on, but you get the message. So let us always remember. Let us lovingly remind one another. In the sweetness of life; in the hardship of life; in the dailiness of life. In the narrow places and the wide open spaces. When all is well and when all is not. This is who we really are.